This Saturday's G/45 Quads hosted 19 players to make up a total of 4 sections, 2 of which were a swiss. 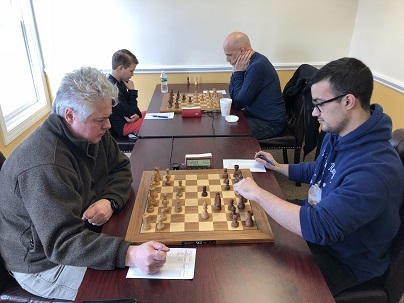 In the first section, Oliver Chernin secured the top spot, earning 2/3 total points. Michael Amori, from the second section, earned first place with a perfect score of 3/3 total points. 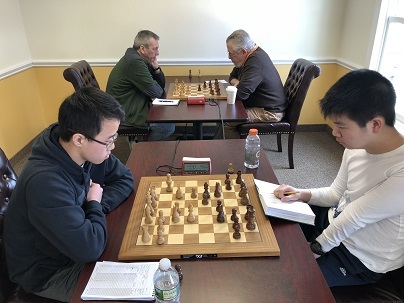 Third section hosted a tie for first place between Evan Helman and Cayden Yang, both earning 2/3 total points. 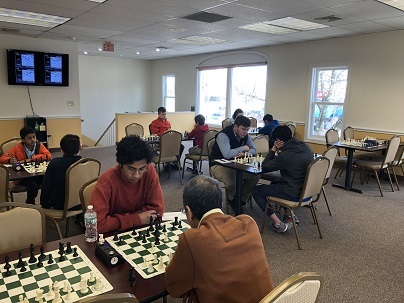 Lastly, our fourth section hosted a three way tie for the top spot, Ramesh Abhiraman, Tim Liu, and Nathaniel Moor, each earning 2/3 total points.